What is the right cloud for you? As you may have noticed I am all about staying organized in my busy crazy life. I will even admit I am lost without my phone some days. The simple reason behind that is my phone is a miniature version of my laptop or work computer. So this leads me to the question of how many apps do I need to store documents and photos to save memory space on my phone and computer. There are lots of “cloud” storage programs out there, its simply a matter of finding the one that works for you and you individual needs. 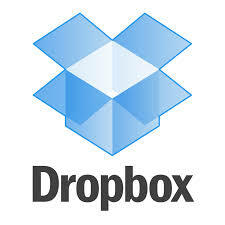 In this lesson I am going to explore Dropbox. It is an online “cloud” storage program you can install onto your computer and smartphone using an app. You can get the basic package for free or you can pay a monthly fee if you are using it for a business or organization. I find it is a simple program to use and transfer files into to be saved as a backup. The next question to come to mind is how can this help me in my personal or professional work life. It would be interesting to use Dropbox in a professional capacity simply for the reason of being able to edit certain documents while out of the office and share them with the rest of the staff. It raises the question, if this would be a useful function if a staff member is away at a conference and would like to share notes right away with the rest of the staff. It is certainly something that will need to be explored in further detail with my co-workers. In my personal life I am beginning to wonder if it would be useful in the planning process of my sister’s upcoming wedding. It would allow members of the bridal party to share and edit guests lists for the various functions we have planned. It could also help to keep everyone up-to-date on everything that is going on and where we need to concentrate. It will be interesting to bring this up with both my mom and my sister. It is possible that it would be more convenient than e-mail. LinkedIn is a great social networking site for professionals. You can use it to connect with co-workers past and present, track of your past job experiences, and connect with others in different professions. As many libraries in a small state know, there is not always enough money in the budget to pay for expensive guest lecturers or performers. 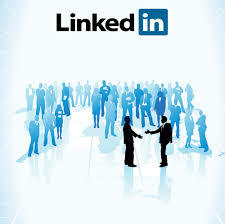 LinkedIn is a great tool to use to explore the wide range of jobs out there today. It is possible through cultivating friendships with other members in the community, you can talk to them about doing a program for free at the library or work in conjunction with a local bookstore to host a specific speaker. If you are looking to explore a new job opportunity in your current field or a new field, you can post your resume for others to see. This can make searching for a new job less of a headache. Social networking can be used in very helpful and effective ways if you put your mind to it and work towards a specific goal. LinkedIn is free to use and you can easily install the app onto your smartphone or tablet to manage your account where ever you may go. It can be used as an effective tool to in working towards professional and/or personal goals you have set for yourself.